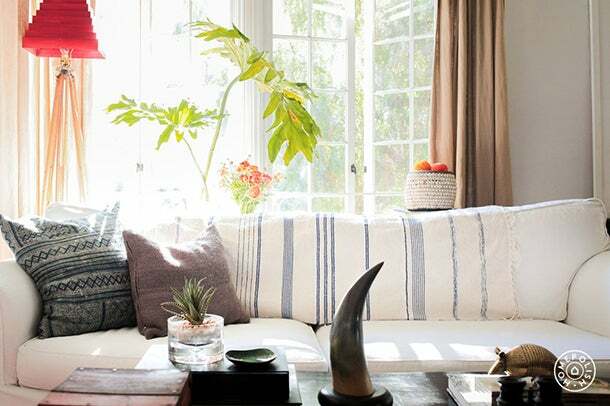 For his Los Angeles home, Homepolish interior designer Matthew Merrell aimed for a rustic yet sophisticated look. A new bespoke decor service that claims to be "changing the design industry one interior at a time," Homepolish matches clients with local interior designer talent (based on zip code), available for hire by the hour, at a reasonable price. A one-hour consult in the customer’s home is available at a cost as low as $50. Laurel & Wolf takes the practice of contractors' bidding on a project to the next level. A customer submits photos of a space online and receives design ideas and style boards from multiple designers around the country. Once the consumer chooses a favorite design, he or she receives a personalized floor plan and shopping list along with instructions on how to DIY the space from the before to the after. Tastemaker, of San Francisco, provides an “e-decorate” service by using a questionnaire that helps customers define their taste. More than just a gimmick, the ecommerce site's genius then recommends products and interior designers the customer would like, and, I've been told, the results are spot-on. The service quickly became popular so it’s currently not accepting new client projects. Interior Define is one such online furniture retailer that works directly with makers and manufacturers, providing designer furniture without a retailer markup. Based in Chicago and founded by a former Bonobos ecommerce veteran, Interior Define has attracted $3.2 million in funding since its start in 2013, according to Crunchbase. Bonobos founder Andy Dunn is one of the company's advisors. Interior Define’s tagline? "Designer-quality furniture at prices (actually) within reach." MACK is one such company, taking the staged-room concept a step further by offering fully designed rooms for sale at the click of a button. Launched in San Francisco in 2013, MACK aims to replace the need for an interior designer altogether and solve one of the biggest challenges consumers face when decorating -- being able to envision the complete, finished look of their home.